Proponents of open source software often describe their campaign as a great equalizer: Not only is it freely available, but anyone who wants to help can do so. But does the community welcome all with open arms? Proponents of free, libre and open source software (FLOSS) often describe their campaign as a struggle for civil rights. They portray FLOSS as a great equalizer: Not only is it freely available to everyone, but anyone who wants to help shape it can do so, regardless of race, nationality, faith, politics or sexual preference. But for a movement that claims to be open to all, very few women are involved. Take a look at the roster of speakers at O'Reilly's annual Open Source Conference, or at the names of core developers on any of the thousands of successful FLOSS projects. While the gender ratio in the industry as a whole is roughly five to one, the ratio in FLOSS appears to be several hundred to one. Our aim is not to complain yet again about gender imbalance in computing. Instead, we believe that the gender skew in FLOSS is the most visible symptom of a fundamental unfriendliness in that community. We also believe that if this unfriendliness is not addressed, it will limit FLOSS's growth and success more than misconceived lawsuits or FUD from would-be monopolists. Here, we'll compare the current state of FLOSS with that of industry, examine why FLOSS is so much more unwelcoming, and speculate on its other effects. People often speak of the FLOSS "community, but that phrase implies a degree of coherence that has never existed. While the stereotypical FLOSS programmer is a volunteer working for the general good on his own time, a lot of today's FLOSS is actually produced by programmers working full-time for corporations such as IBM and Red Hat, who do it because it's their job. We're primarily interested in the volunteers, both because it's the way most programmers first encounter the movement, and because it's the easiest area on which to gather data. That data is depressing. Despite claims that FLOSS is based on a "bazaar model, as Eric Raymond famously dubbed it in his 1998 online essay, "The Cathedral and the Bazaar, almost all successful projects rely on a fairly small team of core developers. Many have a single chief architect (such as Linus Torvalds for Linux, Larry Wall for Perl and Guido van Rossum for Python). An increasing number of these architects are non-white, non-Anglophone and/or gay, but to date, we've been unable to find a single widely known FLOSS project whose chief architect is female. In fact, searches through the mailing lists of prominent FLOSS projects (such as Python and the Apache Web server) usually fail to turn up any names that are unambiguously female. This evidence of gender imbalance is corroborated by less anecdotal data, such as the ratio of male to female authors in O'Reilly's catalog or the gender ratio of speakers at conferences. There are two possible explanations for this: Either women are concealing their gender online, or the forces that discourage women from entering computing in general are operating far more powerfully in FLOSS. There's much anecdotal evidence for the former. For example, after a post about gender issues in his weblog, columnist Jon Udell received mail from several women saying that they used gender-neutral pseudonyms online to avoid attracting the wrong kind of attention. The first author found out exactly what kind of "attention that was after writing an article for First Monday that appeared on Slashdot. The flurry of mail that followed included more than a few inquiries about whether she was single, whether she had a webcam and so on. A posting several weeks later by the second (male) author elicited no such inquiries (although it did result in several offers to refinance his mortgage at low, low rates). Use of pseudonyms might explain some of the gender imbalance apparent in mailing lists and at conferences, but it doesn't explain the near-total absence of women as FLOSS project leads. We are therefore left with our second hypothesis: Whatever forces are discouraging women from entering computing are even more pronounced in FLOSS. 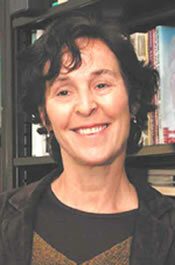 In 1995, Jane Margolis (see "Explaining the Enthusiasm) and Allan Fisher began a multiyear project at Carnegie Mellon University to examine the forces that contribute to the gender imbalance in computing, interviewing 100 computer science undergraduates of both genders over four years. In Unlocking the Clubhouse: Women in Computing (MIT Press, 2001), Margolis and Fisher identify several factors that contribute to the gender imbalance in computing, many of which are magnified in FLOSS. One issue is the experience gap. Males entering the field generally begin their studies with far more prior computing experience—both formal and informal—than their female peers. As a result, many female students lose confidence because they feel that their classmates "already know everything. As well, many male students have friends they can learn from. The effects of the experience gap are more pronounced in FLOSS because most FLOSS projects have very steep learning curves. FLOSS software is notorious for missing or out-of-date documentation, and for requiring more effort than commercial off-the-shelf software to install and configure. People with an established support community are much more likely to make it over this hump than unconfident beginners with fewer experienced contacts. Margolis and Fisher also found that the average female computer science student had a broader range of interests than her male counterpart. As a result, she was less likely to want to spend all of her "free time in front of a computer. "I know guys who live to program, or at least they seem to. You find them on the weekends doing nothing but programming, one female student says in Unlocking the Clubhouse. Brian Behlendorf, cofounder of Apache, agrees. "I certainly do see what I would call 'alpha male behavior' in open source; you know, thump your chest and be the hunter-gatherer. I may be treading on dangerous ground here, but I think it's because these developers don't show up because they have a day job and were asked to join the community, Behlendorf says. "It's something they decided to spend their personal time on. Men are more likely to become gamers or follow some technical pursuit in their free time. I don't see as high an incidence of women exploring this out of personal interest. Since FLOSS volunteers work on these projects on their own time, women's preference for well-rounded lives makes them less likely to become involved. The most important factor, however, is the prominent geek/hacker culture that dominates the FLOSS community. In his 1984 book Hackers (Anchor Press/Doubleday), Steven Levy describes it like this: "You would hack and you would live by the Hacker Ethic, and you knew that horribly inefficient and wasteful things like women burned too many cycles, occupied too much memory space. Twenty years later, FLOSS has become a haven for the antisocial singular-interest geek: a club where they are safe from the jeers of high school jocks and the pity of college peers who actually have something to do on Friday nights. Challenges to this culture are often taken very personally; anyone who points out that it's an unwelcoming environment for most people (male as well as female) is flamed or simply dismissed. This makes anyone who doesn't fit the geek profile feel unwelcome. LinuxChix is just one example of a community formed by and for women to provide a supportive and friendly environment where they can discuss FLOSS without feeling like intruders. Jenn Vesperman, the site's maintainer, writes in a mailing list posting, "What do you think LinuxChix is FOR? It's to provide a way for women to realistically get into the geek community. We certainly aren't welcome at Slashdot. When asked about the large gender imbalance in FLOSS development, many women relate stories about harassment or other inappropriate treatment at a FLOSS meeting or in a FLOSS newsgroup. Since most FLOSS projects aren't affiliated with a company, university or other accountable body, civilized behavior isn't enforced. Helen Faulkner, of the University of Sheffield, believes that women have to deal with more sexism in FLOSS because no one is present to police it. A FLOSS mailing list she's active in suddenly received numerous posts that displayed a sexist attitude that she considers ample cause for women to avoid joining in open source: "If I'd been a total stranger to that community, I don't think I would have persisted, and probably wouldn't have posted at all, because it's too difficult and unpleasant dealing with entrenched sexism, she says. Many (male) programmers dismiss this sort of comment out of hand, but you have to wonder whether the OSCON speaker who decorated his slides with illustrations of men and women from the Kama Sutra would have been comfortable if another speaker had used similar images of gay men. It doesn't take much for these factors to seriously harm the gender balance in FLOSS communities. Even a slight increase in hostility can have a significant impact on the skew. "This is just the nature of bell curves in a large population, says popular blogger and author Joel Spolsky of Fog Creek Software in New York. "Take two overlapping bell curves plotting interest in computer science—one curve for women and one curve for men. Assume that men are just 1 percent more interested in computer science than women, and shift their bell curve 1 percent to the right. Now if you try to select for the 1 percent of people who are most interested in computer science, you're going to get 99 percent men, even where there's only a tiny difference in the average interest. Small changes in the mean can result in big effects on the tail end of the bell curve. We believe that FLOSS's hard-core geek culture is the cause of most of FLOSS's other problems. This mostly-male club is doing FLOSS considerable damage and limiting its potential growth. For example, a core element of geek culture is a focus on "hard technical issues, such as operating system internals and network stacks, with a corresponding scorn for "human issues, such as usability and user interface design. When people (male and female) who care about usability attempt to contribute to FLOSS projects, they're often ignored, jeered at or told, "What do you mean, it's ugly? I can use it! The result? Linux desktops like KDE/Gnome, which no one but a propellerhead could love. Mac OS X is proof that it is possible to build a usable environment on top of Unix; it's ironic to compare the rush to clone Microsoft's .NET to the indifference with which FLOSS developers have greeted Apple's user interface. The FLOSS "boys' club atmosphere also damages public relations. FLOSS advocates' eccentricity and stridency are often better knwown than their positions on technical and legal matters. Consequently, decision makers often discount what those advocates have to say simply because they can't take them seriously. The greatest harm done by FLOSS's cold shoulder is that it chases people away. This is the real cost of any discrimination, including the passive discrimination created by unwelcoming environments. When users (and developers) feel that they're not welcome, they'll invest their time elsewhere. What remains is a community that suffers from a lack of diversity and new ideas. Only those who match the definition of a hard-core geek remain, and thus the cycle perpetuates itself. Stunted Growth or Sustained Harvest? For 20 years, FLOSS has leaped from strength to strength. From Richard Stallman's GNU manifesto in 1985, it's become a significant part of corporate IT and serves as the glue that holds the Internet together. However, FLOSS may have already plucked all of the low-hanging fruit. Further growth will require more effort and fundamental changes. If FLOSS continues to turn a cold shoulder to people who care about more than just "toys for boys, it must accept the fact that others—who have wider interests and priorities—will shape the future of computing. Michelle Levesque ([email protected]) is an active participant in the free/libre/open source community and an undergraduate student in the Department of Computer Science at the University of Toronto. Greg Wilson ([email protected]) is a C++/Java programmer in the Select Access product group at Hewlett-Packard and serves as adjunct professor of computer science at the University of Toronto. In the seminal Unlocking the Clubhouse: Women in Computing, principal investigators Allan Fisher and Jane Margolis described their research in understanding male and female students' engagement with computer science. In addition, the changes they spurred in curriculum, pedagogy and culture had lasting effects on reducing the gender imbalance, causing the entering enrollment of women in the undergraduate computer science program at Carnegie Mellon to rise from 8 percent in 1995 to 42 percent in 2000. Now a research educationist at UCLA, Jane Margolis spoke with us about why computer science attracts men and repels women. Is it true that those drawn to open source projects spend all their free time with the computer? I don't feel comfortable talking about open source because it's not an area I'm familiar with. But I can say that the whole videogame industry has been designed by men for boys' and men's interests. The gaming has a particular character that reflects the stereotype of what males are interested in. It's through gaming, done at a very young age, that kids do a lot of experimentation and play, learn all the cheats, and learn from each other. That builds a lot more familiarity with computing and confidence. The friendship groups that form tend to mark the computing arena as male. But not all men want to spend all their time gaming. There's this male norm based on a very small subset of men: "If you don't want to focus on the machine, you don't really belong in computer science. It's actually a very narrow concept of what CS is all about, with a very narrow focus on the machine, not the science of what it's about, the problem solving and the domains. There's a wonderful quote [attributed to Edsger Dykstra]: "Computer science is no more related to the computer than astronomy is related to the telescope.—the point being that the computer is just a tool to get to this larger science. How does the ratio of women in computing compare to women in other sciences? In math, the gap is not as big. There's been a lot of work to narrow it, and it's been effective. Biology is 50-50. In physics, the gap is still big. Engineering and computing are at the far end of the spectrum of male-dominated disciplines. Because computing, more than any other technology, is changing the way we live our lives. In the other scientific disciplines, whoever knows it has a leg up in their field. In software development, we find that women tend to be business analysts, QA/testers and project managers, while men tend to be software architects or developers. Are the same forces causing those career choices? I believe you're right in that. That's something that Women in Technology and [the late] Dr. Anita Borg are working on. My field has been in education. A whole other shakeout occurs at the work level—the culture of a place. There may be an assumption that you're not as suited. There again, I don't feel able to comment on all those workplace issues. But I've been invited to speak at Google in a few weeks. I think they're concerned about having more women engineers. We're speaking to several management groups and then the company as a whole. Having been to Google, I've observed their perks: laundry, gourmet chef, games, and so on. But the implication is that you can never leave. And that's very hard for mothers. And is it really the best way to be innovative and productive? In science, there's this whole culture about who's in the lab longest. What is the "posse effect noted in your research? It's the issue of critical mass. When you have just one female or one African-American in a class, there's this incredible sense of isolation and discomfort, and the sense of comfort increases when you get a critical mass. I heard the term "posse effect on National Public Radio. These universities that were mostly white had unfortunate experiences when recruiting one Latino or one African-American. They had much more success when recruiting entire groups. It showed the importance of not being alone, not being the only one—the effects of comfort and confidence. We don't know what the number is to get that critical mass, but at Carnegie Mellon, the cultural shift that the women felt was dramatic: You don't feel alone, you don't feel all eyes are on you. I'm now looking at high school. You can already see the divide that has happened. Youth culture is so saturated with technology now, but the gaming industry is still predominantly male. There's a huge gender gap: Now only 17 percent of AP computer science students are females—and African-Americans and Latinos combined make up only 6 to 7 percent. By high school, it's already set. It's tied in with issues of social class, access to technology, parents and families—it's a very complex constellation of effects. It also has to do with how, in schools, different subjects get claimed and identified. Computing is marked as a white/Asian/male field. Those are the role models that kids see. What's the current fraction of women in Carnegie Mellon CS? It's around 33 percent now. So to go from 8 percent to 33 percent is still pretty dramatic—and it's a much higher level of women than most CS programs. Why did it drop from 42 percent? I think it's due to the overall fall in computer science enrollment throughout the country in the last few years.